The Kimberley Season is here! The monsoon is losing its thunder! Majestic falls, swollen billabongs and ravenous barramundi are left behind! The rainforest is lush and birds of every colour are calling in raucous harmony! 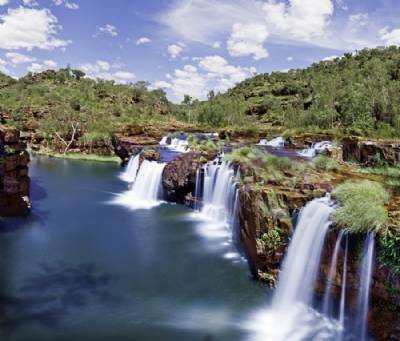 After months of darkened skies and pounding rains – The Kimberley is renewed and waiting for you! This is where it all started – this is what we are most famous for! This is where we live – the Kimberley is our backyard and nobody knows it better! Only we can go where we go, only we can fly above the splendour and only we can do it all in comfort and style! The TRUE NORTH is on her way back to Broome and soon the adventure will begin all-over again! But don’t miss-out – only a handful of cabins are still available. If seeing the Kimberley on the magnificent TRUE NORTH is something that you have always wanted to do – don’t wait a moment more!